We are pleased to announce our 2019 Liaison Linguistics 40 Hour Interpretation Training will take place from May 13th, 2019 to May 24th, 2019. Please mark down on your calendar this special training event! This is a 40-hour interactive and skills-based training that equips you with invaluable tools to be a professional interpreter. It covers the most up-to-date protocols, analytical guidance, and instrumental techniques that will help you in your daily practice. The focus is on medical, education, and social work interpretations. Attendance: Participant cannot miss more than 10% of the 40-hour training—that is no more than 4 hours. Make up time is required in order to receive the certificate of completion. A total of 4 hours of shadowing another interpreter in the field. Josefina G. Saldívar has a Master’s degree in Spanish Literature and Grammar, and two Bachelor’s degrees: one in Spanish and one in Psychology. Josefina has extensive experience interpreting in social work, medical and legal settings as a certified CCHI interpreter. 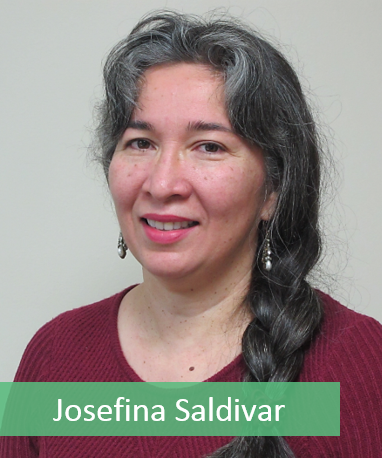 Josefina also has twenty-four years of experience as a college Spanish professor. She thoroughly enjoys teaching Spanish classes at Grand Rapids Community College (GRCC). She also works with Innovation Central High School in Grand Rapids and Spectrum Health to develop and teach a medical interpretation class to bilingual high school seniors. Josefina strives to prepare new interpreters through education and by sharing her experience as she continues to interpret in the community. Please fill out this form to register for Interpretation Training. Payment is Non-Refundable & must be made to Liaison Linguistics by May 8, 2019. The following forms of payment are accepted: Credit/Debit Card via phone, Mailed Check, or Cash at the Liaison Linguistics office.